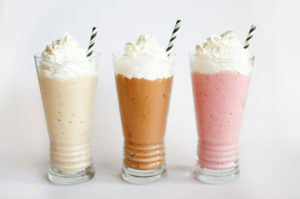 Small Business, Big Lessons: Make a Milkshake! Sounds like a milkshake to me! So, what’s the holdup? Was the problem with the person in room service or the system / process they have in place? It could be a little of both. I have another example and then we will review a few simple checks to help your business wow your guests. I recently ordered a product from a business that sells both online and via brick and mortar. The product was only sold online but can be returned to the brick and mortar location. If they do not stock an item – they will gladly order it for you and many times ship it for free to you. The item I order arrived defective. I returned it to the physical location. I asked them to reorder and ship me the new item – to my surprise – they were not “capable” of doing that and apologized. By the time I went to order a replacement – the price increased – and I purchased from a competitor. 1) Customer first attitude – Ensure your team has the right mentorship and training to satisfy the customer. On both examples above – just using the existing products or tools would have created incredible customer satisfaction. 2) Exception Process – Empower your team to do the right thing. Again, using the example above – there would not have been any additional cost to make or keep a sale. Just connecting the dots and thinking how to take care of the customer. 3) Audit – Start with your team – ask if they could change one process to improve customer satisfaction – what would it be. The answer may be right in front of everyone. Customer satisfaction needs to be a priority. I will share one final story that I was part of in the restaurant business. A customer wanted to have their “pulled pork” chopped. Our team member said “we don’t do that – our pork is pulled” – taking a page out of Crocodile Dundee – I went to the kitchen – pulled out an 18” knife and said “I think we can manage that for you”! Train, train, train, and inspect – empower your teams and help coach them along the way to do the right things. A small amount of creativity to deliver exceptional service will be paid back in dividends. I saw the same guest in the future and we were able to customize her experience and delight her! Tell me about your customer satisfaction challenges and how you resolved them. Small business – keep your customer happy and your business growing!